Whether it's a master agreement, a statement of work, or just a simple NDA, Josh can help help you draft, negotiate or review your contract. 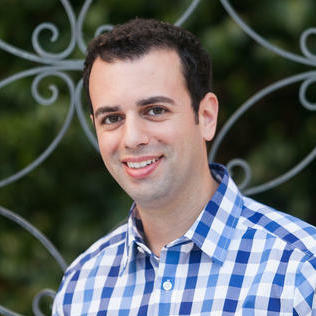 Josh is a transactional attorney with over 10 years of experience helping startups and blue chip clients with commercial, non-disclosure and license agreements for supply chain services, IT, technology, e-commerce, computer hardware, software, open source and biotech. Specialties: Transactional law, intellectual property, biotech law, IT law, technology law, interactive entertainment law, copyrights, trademarks and branding, corporate communications, graphics/design, open source licensing, software… read more licensing, middleware, and Web 2.0 technologies. Joshua Kagan does not have any reviews yet. Manage legal issues relating to the operations of the PCH family of companies in North America. Draft, review, interpret, and negotiate a variety of complex commercial documents including master service agreements, statements of work, amendments, change orders, NDAs, and much more. Oversee global IP portfolio, US employment law matters, and manage legal issues relating to physical plant in US. Managed and expanded an international IP portfolio comprised of more than 10 unique patents and over 25 trademarks. Drafted and negotiated license agreements for technology and patents; settlement agreements for trademark and unfair advertising disputes; amendments; non-disclosure agreements; purchasing; supply; sale and distribution agreements. Developed standard forms. Served high technology clients. Clients included a social networking website, a publisher of massively multiplayer online games, numerous independent video game developers, an e-commerce website, a major biotech company, and a major fashion designer.